Includes a signed copy with free shipping! With a solid knowledge of the most common bead stitches, any jewelry maker can make beautiful jewelry they'll love to wear. In Learn to Stitch Beaded Jewelry, jewely designer and beadweaving teacher, Marla Salezze, teaches the basics of the most popular bead stitches in a fun and accessible way. Readers will learn spiral stitch, peyote stitch, ladder stitch, herringbone stitch, netting, square stitch, brick stitch, right-angle weave, and bead embroidery through clear instructions and illustrations. Marla offers a taste of each stitch in straightforward projects that are easy to follow and fun to make, plus design variations using each project's main technique. 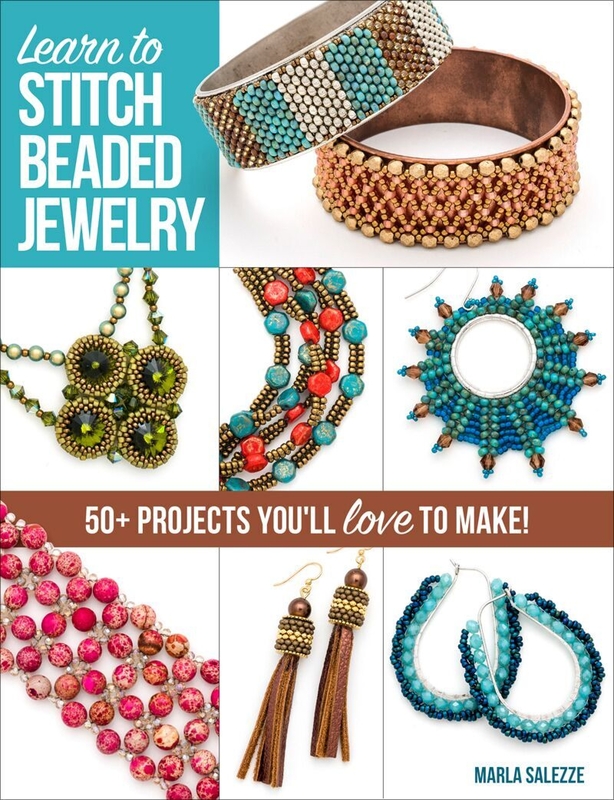 The 50+ projects in Learn to Stitch Beaded Jewelry use the bead stitchers' most popular and easy-to-find materials: seed beads, stones, crystals, fire-polished beads, cylinder beads, and more. The finished pieces are colorful and fun, and beginning stitchers will love learning how to make jewelry they can wear or give as gifts. Advanced stitchers will appreciate the fresh projects they can make in a weekend using the skills they already have.